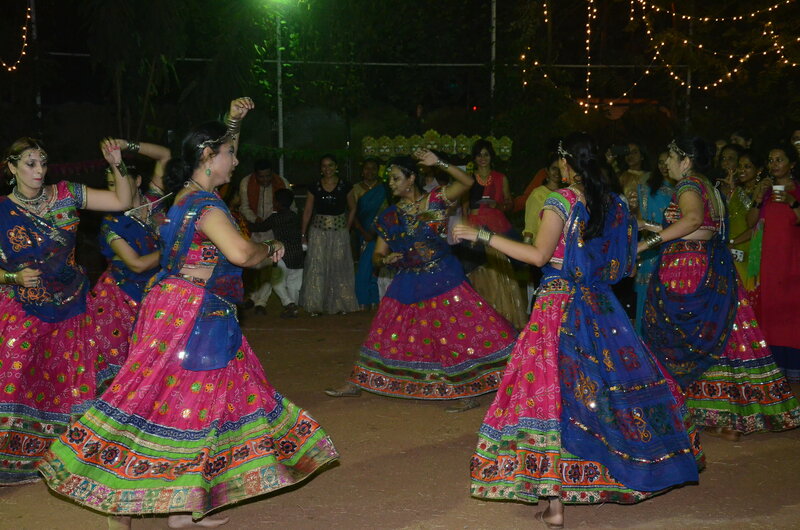 "Making a movie is a wierd combination of planning and the absolutely unexpected"
A loud resounding ‘THANK YOU’ to our ever enthusiastic Parent-Teacher Association (PTA) who organized our first ever Garba Party during this Navratri festival. The event was inaugurated with a student shooting the Ravana effigy with a bow and arrow, symbolising the victory of good over evil. A special mention for the performance by our lovely parents, dressed in traditional attire. Students, teachers, families and friends all joined in. An untimely downpour could not stop the twirling feet and the party continued with full vigour inside Grandstand. Our lower and middle schoolers celebrated the completion of their math units from their yearly plans and achieving set goals by having a potluck lunch in Grandstand. 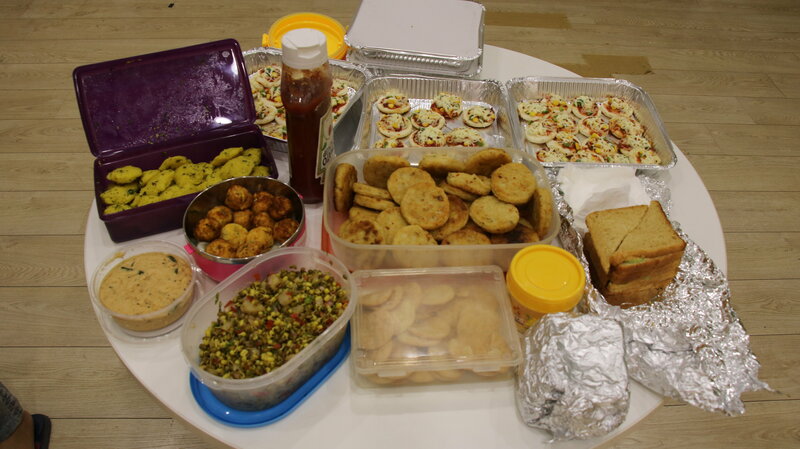 Most of the students brought delicious food from home to share with everyone else! We are excited to have our school trustee, Dharmil Bodani, more often at Gateway. He is lending his considerable expertise in business management to ensure Gateway keeps growing. (As an aside- he also makes a killer cup of tea- we highly recommend it). He’s been kind enough to let us pick his brains. Say a big hello to him when you see him around campus! Lights! Camera! Action! A big round of applause as our middle and high school students took it up a notch in Grandstand this month by shooting movies in teams. From director to editor, cinematographer to arts team, our students rose to the challenge and filled every role and responsibility impeccably. With creativity at its peak, the Gateway family is proud to say we have some inspiring movie makers in our midst. In order to celebrate the creative and technical achievements of our students, Gateway is hosting its first Filmfare Awards on Thursday, 1st November! Stay tuned to hear about this glamorous red carpet affair in our next Newsletter. 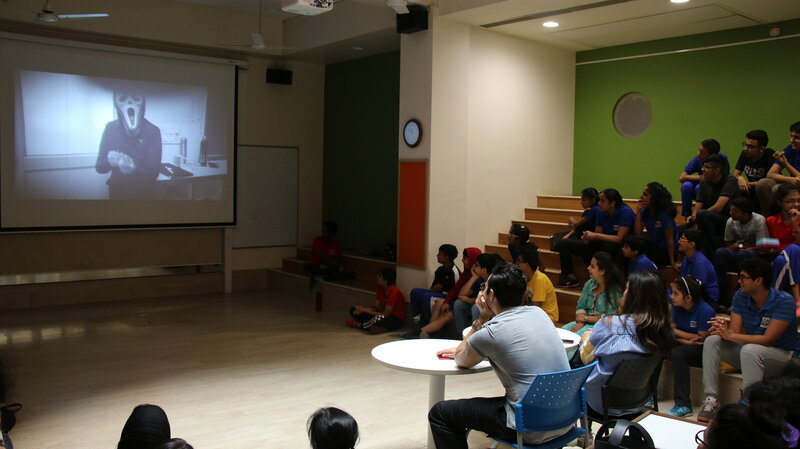 A special mention to Mr. Mozez Singh, acclaimed film-maker for viewing the films and providing feedback to the teams. 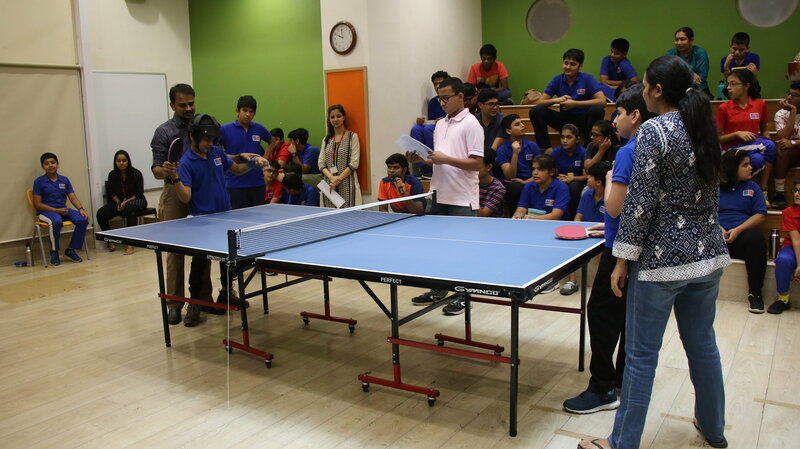 After the success of the Throwball league in August, our students have once again demonstrated their athletic capabilities in the Table Tennis league! With yet another skill set in the bag, the students across the school participated in a high-energy knockout tournament! 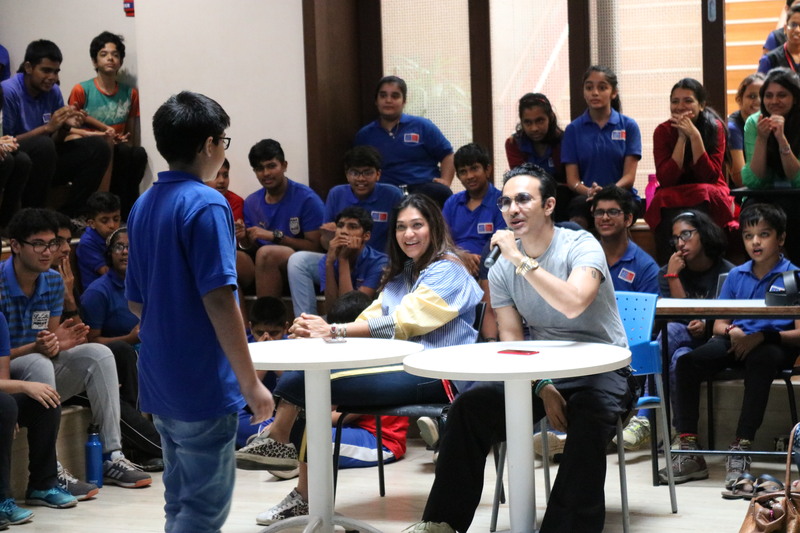 A big round of applause to Nay Shroff for winning the beginners round and Ritam Patel for winning the advanced round, therefore awarding the RED PREDATORS a total of 200 points. Congratulations to the runners up - Abhinav Swamy from the beginners round and Namah Mistry from the advanced round for gaining a total of 100 points for the BLUE BEASTS. 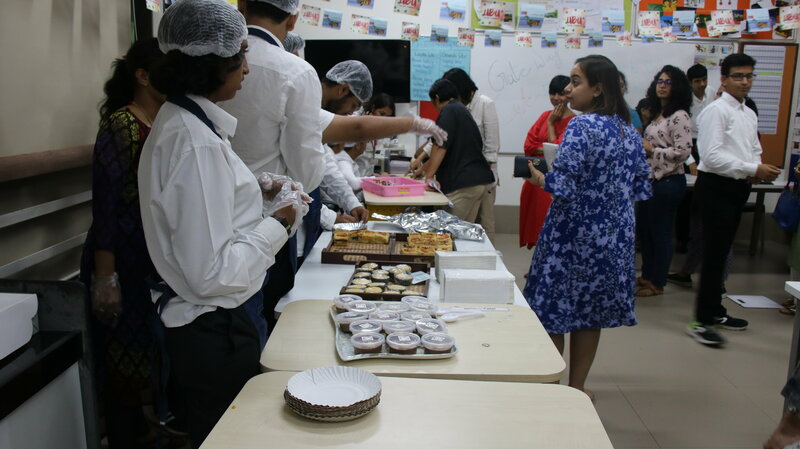 The participants were in for a delightful treat during break time at the PDP workshop held on 6th October! Our high school students wonderfully set up the Gateway Cafe with a variety of different homemade snacks and sweets offered. 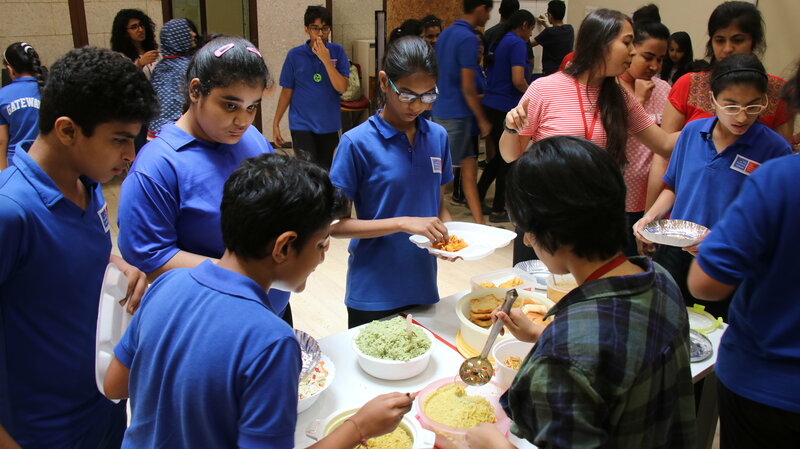 They carried out various tasks like setting up the cafe space, ushering visitors, taking orders and payments, serving food, and politely requesting for feedback! A lot of planning and organisation went into executing this set up, which the students carried out with the support of their teachers. Mr. Ashish Sajnani, owner and Managing Director of Hotel Jewel of Chembur paid a visit to the cafe and took some time out from his busy schedule to chat with the students about his own journey in hospitality. The high school students in turn shared their goals and future plans with him! 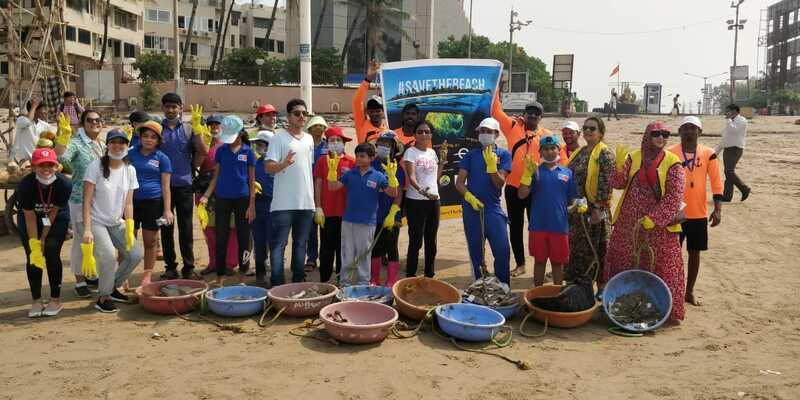 Students of The Fearless Minds undertook a beach clean up initiative at Juhu beach. This was part of their unit on "Biodiversity" within the Science and Humanities class. The trip was organized so that the students could see how human choices (use of plastic) impact the environment and eventually lead to a decrease in biodiversity. The aim of this field trip was to not only be aware of the problem, but also be an active part of the solution. Despite the scorching heat, all of our kids actively participated with smiles on their faces. They were able to come back to class and reflect on ways they would like to reduce plastic use in their daily lives. They also brainstormed on ideas about how they would like to make others aware of the impact of plastic use on their environment, therefore using what they have learned to improve the ecosystem. This unit of the World Knowledge class, focused on "Celebrations". 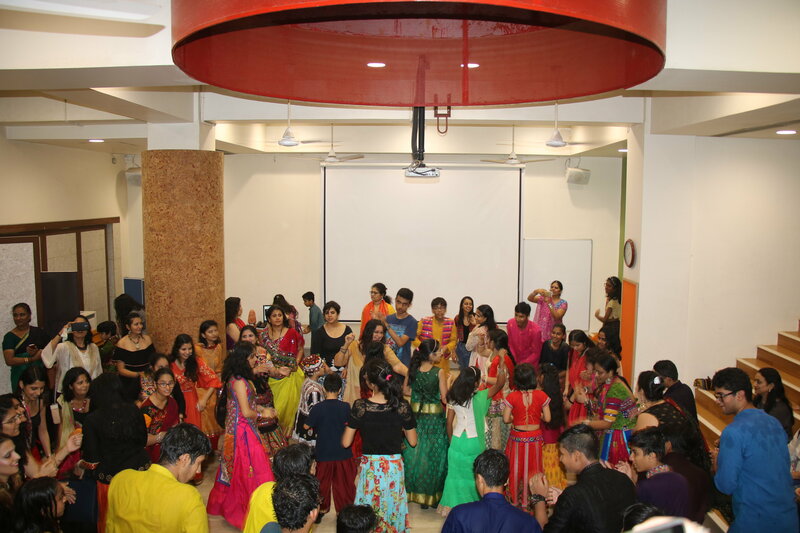 Students had an opportunity to work on community celebrations for Navratri. The high school students undertook a month-long project to research this festival. This culminated in the students presenting their findings to the rest of the GSOM community through decorations made for the corridors in school, posters denoting the colour for each of the nine days, foods that were served at the Gateway Cafe on the 19th of October as well as a dramatic skit and poetry uncovering the story of behind Navratri. The project which was aimed at understanding the customs and traditions behind community celebrations proved to be an incredible medium for teamwork and collaboration, all of which are an integral part of living within a community. Our latest initiative, "The Handwriting Journal", has provided the students of The Fearless Minds and The Sparklers with a platform to dabble with their creativity in a fun and guided way while maintaining the foundational skill that is handwriting. This project encourages research and writing about cultural affairs, it includes interactive writing sessions like filling in slam books and explores creative avenues such as recipe writing amongst others. This is an ongoing project for the next 4 months. The Sensory Motor Department held an educational interactive session for parents about support structures and guidance for our students while they embark on this handwriting journey. 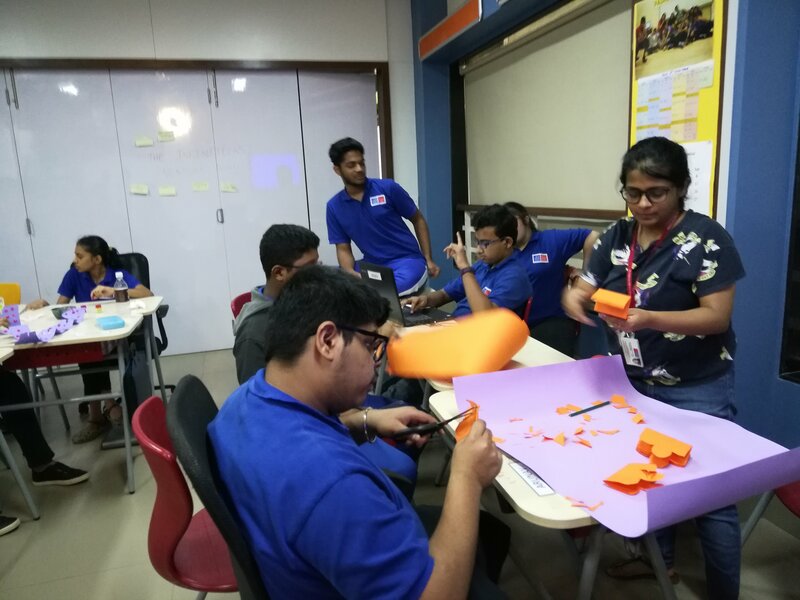 As part of the research project in Science and Humanities class, the students of The Creative Cave conducted a survey on the effects of the plastic ban in Mumbai. This survey was developed and conducted solely by the students. The purpose was to gauge shopping behaviors of the citizens of Mumbai, following the plastic ban. They approached customers at various grocery stores in the area. 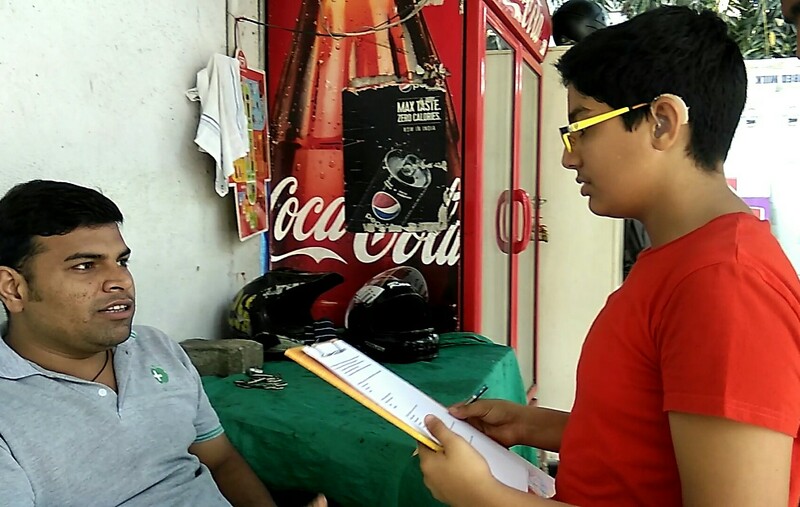 They got mixed responses from the survey participants; the majority supported the ban of plastic across the country. A few customers raised concerns about the lack of durable alternatives to plastic. It was a great opportunity for our students to put into practice their real- life communication skills. At our third PSG for the year, we had an exciting drama-themed gathering facilitated by Ms. Aditi Dalal and Ms. Radhika Chandrasekaran! The session focussed on emotions and how each of us express and respond to various emotions. Many activities were carried out which brought out everyone's individuality. 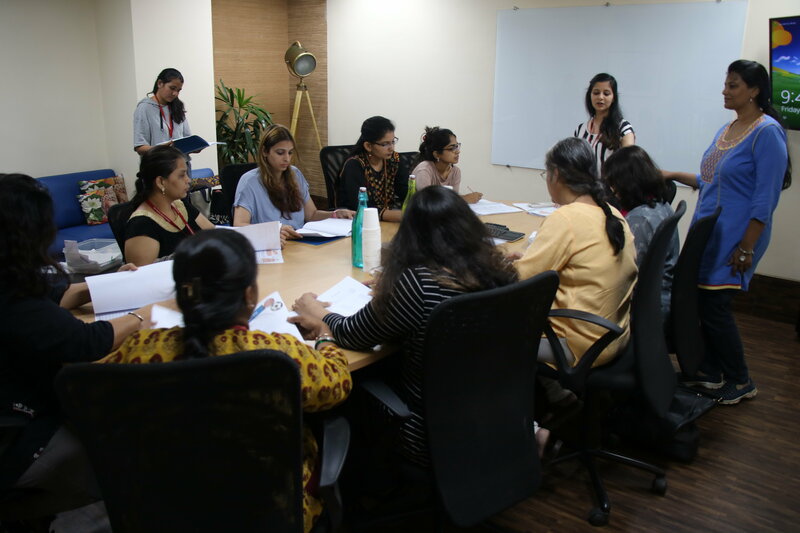 Our fifth PDP workshop included sessions on Managing Challenging Behaviours, Explicit Instruction, Backward Design, and Teaching and Remediating Handwriting Skills. The participants will now work in their teams and share their learning from the PDP at the final workshop on 24th November. The presentations will include context, key takeaways, and evidences of current implementation in their professional setting. 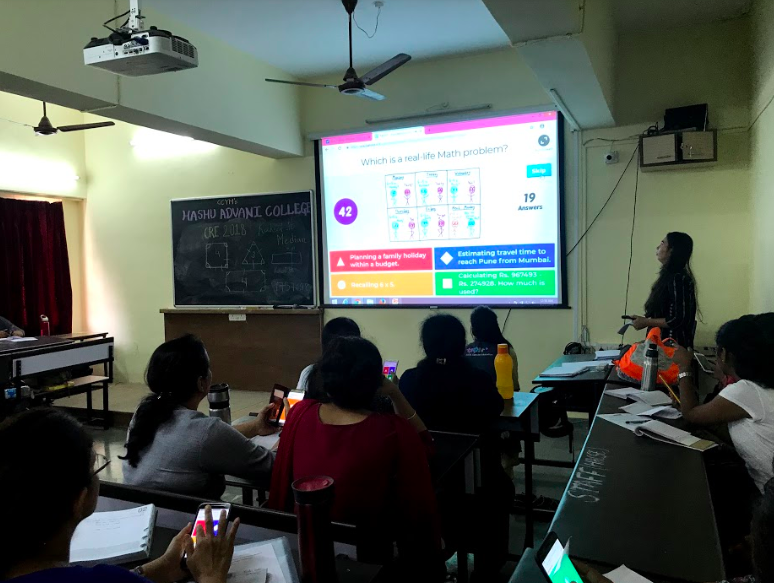 As part of the "Continuing Rehabilitation Education" (CRE) programme for special educators, Gateway teacher Ms. Rudri Joshi was invited to conduct a session on Strategies for Problem Solving in Mathematics: Primary years, on September 28, 2018 at the Hashu Advani College, Chembur. The session focussed on sharing teaching methods practiced and developed at Gateway for learning Math.These included Math models, Goal Plan Do Check (GPDC), number talk and group work. The workshop was attended by 30 special education professionals and 15 students who are currently pursuing Bachelors/ Masters in Special Education. Dr. Radhika Misquitta is attending the Dasra Social Impact Accelerator Program (DSI AP). DSI AP is designed to help social organisations strengthen their fundraising ability, articulate their growth plans, and scale their impact. This program is ongoing for the next two months. This program will help us strengthen our impact in the community going forward. A special thanks to Neera Nundy and Deval Sanghavi, the co-founders of Dasra for letting our team members attend the panel sessions. Malvika Agarwal and Lakshmi Vishwanath from an organisation called Reality Gives, visited Gateway on 19th October. They are currently school leaders working at Royal City School in Dharavi. To know more about their school and the work they do please click on this link. Payal Sinha, Kavita Sukhani and Sujata Menon visited Gateway on 29th October. They are school leaders from The Green Acres Academy. We warmly welcome Ms. Mariam Munir as Language and Lead Teacher. It’s a bittersweet farewell for us at Gateway. We say goodbye to one of our founding members, and first Head of School, Mr. Siamack Zahedi. He has been instrumental in building Gateway to what it is today. After stepping down as head of school two years ago, he continued to support us in his role of managing trustee. He leaves a school that is thriving, buzzing with energy, and ready to take on the world - this is a testament to his dedication and vision. He is moving on to help start other schools and will always hold a very special place in our hearts. Siamack, you will be missed.